What is MetaMask all about? MetaMask is a Google Chrome/Firefox plugin that enables you to run Ethereum Dapps right from your browser without running a full Ethereum node. 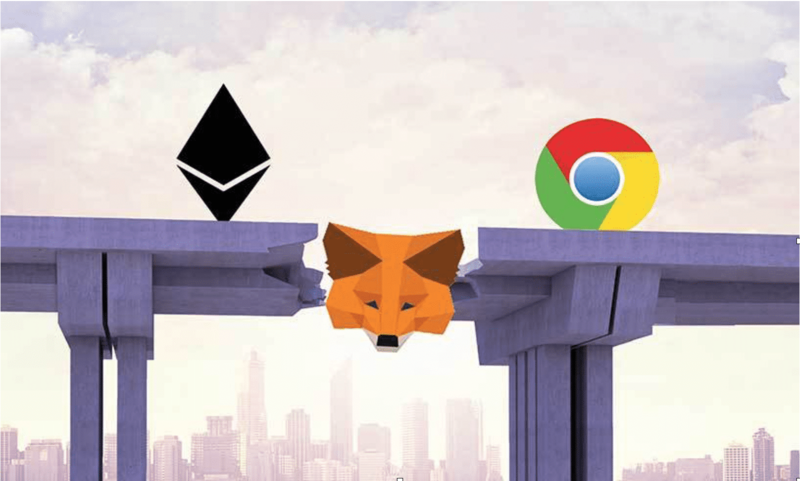 MetaMask facilitates the adoption of Ethereum because it bridges the gap between user interfaces such as Mist browsers and Dapps and the web (e.g Chrome, Firefox, websites). Ethereum cannot go mainstream without this because of the strong network effect that makes it difficult for average users to switch in the regular web. For most people, the Ethereum ecosystem is quite confusing. They find it difficult to really get a hang of things. For example, accessing most Dapps can be quite challenging because it requires a full Ethereum node on a PC. That is compex for the average joe and easy to get lost in or break something. However, the Ethereum ecosystem is becoming more and more accessible to the average consumer and this is partly due to MetaMask. The MetaMask plugin allows the Chrome browser to access Ethereum Dapps right from the browser. So Dapps is more appealing to work with for novices. MetaMask also removes the need to run a full Ethereum node. This makes the whole process even more comfortable and convenient. Combined with fewer technical requirements to access Dapps, it is an impressive progress for the whole Ethereum ecosystem. Although MetaMask is only as a Chrome plugin for now, there are plans to support additional browsers. MetaMask grants you control of your account through your browser! You don’t need to ask for permission from a server with unknown location to authenticate you. MetaMask enables you to visit Ethereum enabled websites and interact with the blockchain through the website’s user interface. In other words, your Chrome browser becomes an Ethereum access point. Just with a Chrome extension, several Ethereum websites are unlocked and the Ethereum blockchain can be easily accessible. Linda wants to use Ethereum to buy socks from Amazon. With the regular web, Amazon’s servers are put into focus; her browser makes HTTP requests to it for the webpage and the payment details are sent to it. However, since Ethereum is decentralized, she would have to write the transaction on the Ethereum blockchain and broadcast it across the network. Amazon will then check the blockchain to see if Ether has been transferred from her account to their account. Currently, regular web browsers cannot connect to an Ethereum node talk less of writing to the Ethereum blockchain, this is the point where MetaMask comes in. While the building blocks of the future of the internet are being laid with Web 3.0 products such as Ethereum, MetaMask are what will ultimately bridge the gap between mainstream internet and Ethereum, making it more interesting and useful to the everyday internet users. The catalyst for widespread Ethereum usage will be from tools that will simplify this new technology and make it easier for ordinary people to understand and adopt the technology.